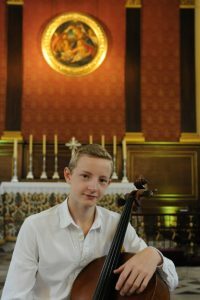 The UK premiere of Adam Khudoyan’s cello duet will be played by Guy Johnston and young cellist, Willard Carter, in their Concert at St Paul’s Church, Covent Garden. The piece is 20 minutes long and is the central focus of this recital which is being held in aid of Future Talent, a charity which supports young musicians from low income families. 15 year old cellist Willard Carter first heard Adam Khudoyan’s music when played by Armenian cellist Narek Haghnazarian. It took many months of research to track down this duet, as his music was last in print in the 1960s.